Li has kept a low profile since taking the stake in Daimler. FRANKFURT -- Daimler's largest shareholder, Li Shufu, will not attend the German automaker's annual meeting on Thursday, said a source close to the Chinese billionaire. 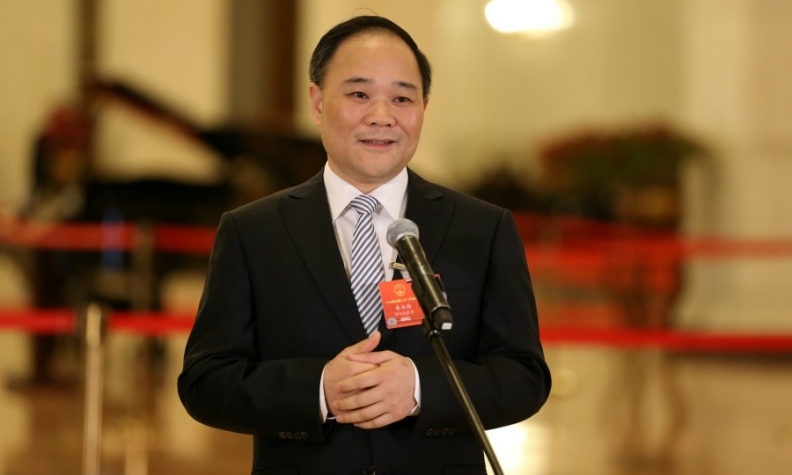 Li, the chairman and main owner of Zhejiang Geely Holding Group, became Daimler's top shareholder in February after amassing a stake of 9.69 percent, worth just over 7 billion euros ($8.6 billion) at the current stock price. Li will not be exercising his voting rights personally at Daimler's shareholder meeting in Berlin, said the source. "We are not commenting about the mechanism by which Geely will vote its shares, but it's safe to assume this will be handled by a legal representative." Daimler declined to comment on whether Li would either attend or send a representative on his behalf, citing data privacy reasons. "We will not publicize details such as who casts how many votes on whose behalf, neither for strategic nor institutional shareholders large or small," a Daimler spokesman said. Despite Li's absence, Thursday's meeting is likely to lead to a debate about what Li's intentions are. Li has built China's largest independent automotive empire from scratch, founding the Geely brand in 1997 before acquiring Volvo Cars from Ford Motor in 2010 and later purchasing London's black cab maker Manganese Bronze. Last year Geely bought about half of UK sports-car maker Lotus and Malaysia's Proton and launched its first car under the Lynk & CO brand. In December, it become the second largest shareholder of Swedish truckmaker Volvo AB. Li says his investment in Daimler is purely a business decision with no political background and no specific national factors. Last month he told the German paper Bild am Sonntag that his priority was working together with Daimler in the area of future technologies, for example connecting cars to the internet in order to enable digital and mobility services. He said he did not intend to intervene in Daimler's existing strategy or cooperations. A seat on Daimler's supervisory board was not a priority for him and that he did not currently plan adding to his stake, Li told the paper. He said he would even be fine with simply collecting his annual dividend, proposed for 3.65 euros per share and due to be approved Thursday. At 37 percent of net profit and nearly 5.4 percent of the current share price, this is both a higher payout and return than other peers in the car industry. "Why do people think we shouldn't make an investment if there are no synergies? Why shouldn't we? Many people around the world have put money into Daimler," he told Bloomberg, adding that a cooperation between his Geely and Volvo car brands with the Mercedes-Benz parent wasn't a must. In recent years, Daimler shareholder meetings have been straightforward affairs in which the most controversy has come at the buffet line for food or whether retail investors can show up naked.